RANGOON — From 1920 to the present day, only four women have been appointed as the heads of government ministries in Burma. The sobering fact was evident in a recently published book, “A Dictionary of Biographies in Myanmar Chronological Order,” by researcher Than Htun (Mawlamyine), which documented brief profiles of Burma’s presidents, vice-presidents, prime ministers, and Union ministers from the 1920s to 1988. The book covered Burma’s periods from British colonial rule through the parliamentary democracy to the Burma Socialist Program Party. Out of more than 200 cabinet ministers spanning nearly 70 years, only one has been female: Mrs. Ba Maung Chain (Claribel Irene Po), an ethnic Karen woman who was among the lawmakers elected to Parliament in the 1952 elections, four years after Burma gained independence. 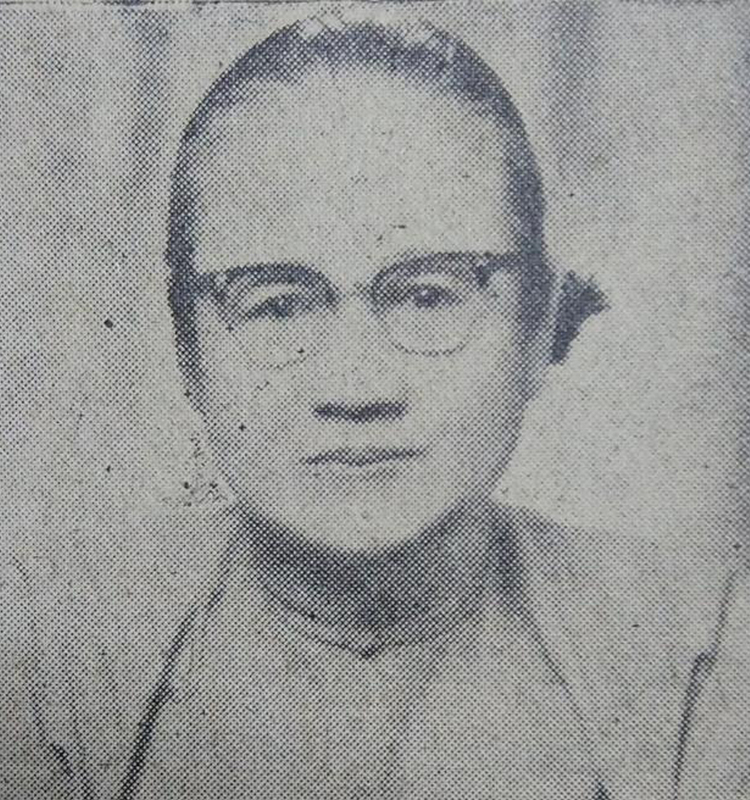 She became Burma’s first female Union minister, with her appointment as the Karen State minister, serving from March 16, 1952 to 1953, March 4. But her term was followed by an absence of women in ministerial roles that spanned nearly half a century after the 1962 military coup. Ruled by the military generals for decades, the role of women in Burma’s political offices had diminished, despite women’s efforts to combat oppression and boost their involvement in top-tier politics. Ma May Sabe Phyu, director of the Gender Equality Network (GEN), said the fact that Burma has had only four Union-level female ministers in a century highlights the country’s gender disparity. The juntas’ rule was the main reason why women were absent from politics, she said, as positions of power were reserved for generals. “There was no fair play for qualified women,” she said. If ministerial roles were elected instead of appointed, she added, more women would take seats. Some political reforms took place in 2011 when the military regime handed over power to a quasi-civilian government led by then President Thein Sein. Female ministers were chosen to fill two of the 36 Union ministerial positions, picking up the mantle left almost 60 years before by Mrs. Ba Maung Chain. Daw Myat Myat Ohn Khin, an Upper House representative and then a deputy minister for health, was appointed as the minister for social welfare, relief and resettlement in 2012. Daw Khin San Yi, formerly a deputy minister for national planning and economic development, headed two ministries: education in 2014, and science and technology in 2015, but she was appointed to these roles after the deaths of her male predecessors in each. The government of former President Thein Sein also appointed five women as deputy ministers. 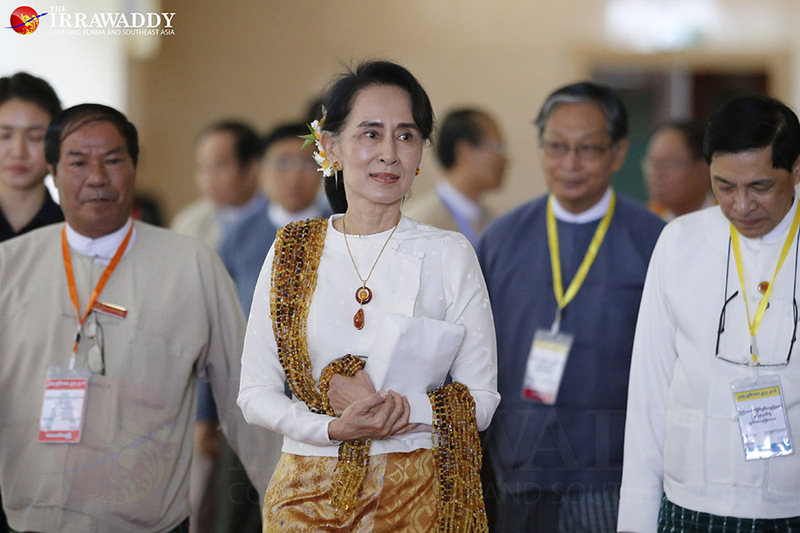 Despite the appointments, Burma remained one of the lowest countries in the Association of Southeast Asian Nations for the number of women in government. Some nations in the region have had at least a dozen female ministers, including Thailand, Indonesia, and Malaysia. But Burma is among only a handful of countries, including Thailand, Indonesia, and the Philippines, that have had a woman leading the country. Daw Aung San Suu Kyi, the country’s most famous pro-democracy leader, and her party, the National League for Democracy (NLD) won a landslide victory in the 2015 general election, defeating ex-generals led by the then ruling Union Solidarity and Development Party. Many expected an increase in the number of women in cabinet positions with the advent of the NLD, but the only woman appointed to the Union government was the country’s de facto leader herself. As a constitutional clause prevents anyone with a foreign spouse or children from becoming President, voters did not get see their leader hold executive office. But she did take the roles of State Counselor, and two ministerial posts—foreign affairs and the president’s office—out of 22 government ministries, which were cut down from 36 ministries under the previous government. Having only one woman in government was an unexpected and disheartening development for women’s rights activists, who have continued petitioning for a minimum of 30 percent of women to be included at the decision-making levels in all government sectors. 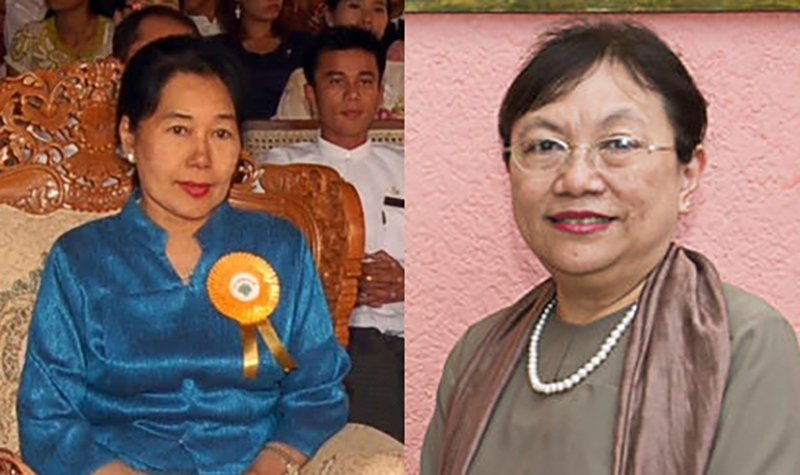 Yet unlike previous administrations, Burma now has two female chief ministers for the first time: Dr. Lei Lei Maw in Tenasserim Division and Nang Khin Htwe Myint in Karen State. NLD lawmaker Ma Zin Mar Aung took the disappointing statistic—just four women ministers in nearly a century—as a signal for her and other women to work even harder. By doing this, she said, women would eventually be represented more fairly. “It could be because of political systems or social norms. But as a woman, it encourages me to work more in society,” NLD lawmaker Ma Zin Mar Aung said. The number of women lawmakers has risen almost threefold, so that the country’s legislative chambers are made up of 13 percent women compared with less than 5 percent of seats in the previous government. NLD lawmaker Ma Pyone Kaythi Naing from Shan State said the low representation of women at the decision-making level in Burma was a driving factor in her run for election. “The fact shouldn’t be discouraging. It wouldn’t work out,” she said. “Instead, I take it as motivation to work more for gender equality in legislative matters,” she added.